Nothing is worse than having guests over when your house is a mess. First off, even if you are not a messy person, a messy house makes you look like one. Sometimes it is not your fault, you might be really busy and do not have the time to clean your home from floor to attic. But not having time isn’t a good excuse to have when your house is a pigsty. Also, being busy shouldn’t mean the difference between entertaining and staying cooped up in your home all the time. Your home is your palace and you should want to keep it clean. If not for you, for your guests. 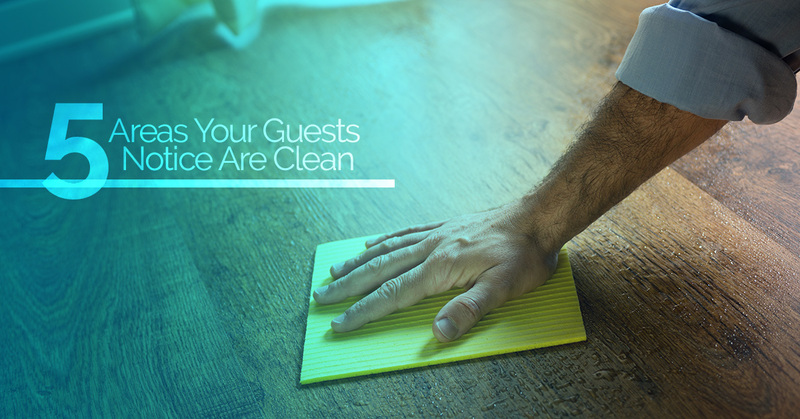 Your guests might be the nicest people in the world, but even they know the difference between what is clean and what isn’t. By seeing that you have a dirty house, they might think of you as lacking in hygiene or responsibility. This might not seem like a big deal with your friends, but say someone really important came over one night—perhaps your in-laws? Of course they are making small notes in their head about whether you are a good match for their child. Don’t disappoint them, make a good impression with a clean house. These are the five main areas to keep clean if you want to impress a guest or the in-laws. Your living room is your main entertainment area. This is the spot most of your guests will stay when you are entertaining. Make sure your couch is vacuumed and your coffee table is cleared. Nothing disappoints an in-law more than clutter. A cluttered house to them, means you might be messy—or worse, lazy. Nothing will disgust a mother-in-law more than a messy kitchen. 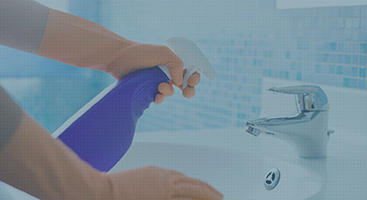 Keep your sink clear, your trash empty, and, of course, make sure the countertops are wiped down with cleaning solution. If your guests lean against your kitchen counter and pull away with food on their sleeve, that is a huge let-down. Plus, most of their night is ruined because all they will be thinking about is the food they will now have to scrub out of their clothing. Clothing, they probably really liked, because they took it out to a social gathering. So, wiping your countertops is really important if you don’t want your guests secretly screaming at you for not wiping down the counters. The following is more geared for the awkward moments of your evening when your guests start looking around the living room. This casual look-about often occurs when your guests don’t know you that well, like your boss, a co-worker, or your in-laws. You need to keep your common areas well dusted to ensure you don’t get bad looks from your mother-in-law. Especially, when she does a small circle in your living room looking at all your photos and wall art. Be safe, keep everything dusted. Any article of clothing should not be visible. If you happen to leave clothing in the hallway or on the stairs, your guests will trip on them, and think you cannot handle the responsibility of putting things on hangers. It is extremely important to clear all items of clothing, because having blockages or barriers in main passageways will drive your guests crazy and drive your father-in-law quite literally “up the wall.” Literally, because he can’t get over your beaver dam of clothing to get to the bathroom. If you do not clean anything in your house, clean your bathroom. Anything but spotless will not fit the standards of your guests or in-laws. It should be so clean, that the smell of Clorox (or whatever cleaning solution you use) should be perforating throughout your home. By having clean bathroom countertops, you allow your guest a clean space to take themselves out of the social scene for three minutes. This is their quality time to regroup and do their business, so make sure the experience is clean and comfortable. Allow all your guests clean wash towels and scented soap to wash their hands. Everything about their experience in your bathroom should leave them thinking the words “lovely” and “put together.” The bathroom is the most important room in your house and gives off the ultimate impression of who you are as a person. Don’t make a bad impression and keep it spotless. Sometimes it is almost impossible to keep the above areas clean. Work and life get in the way, so it is difficult to find the time for cleaning. One way to combat this problem is to hire an expert cleaning service to clean your house. By hiring the best cleaning service, you can ensure that all the above areas will be cleaned immaculately. You will not have to worry if your living spaces are clear, and you will never wonder if you are making a bad impression. If this interests you at all, visit Outstanding Cleaning Services today. Don’t put a dirty foot forward. Clean your house and impress your guests.